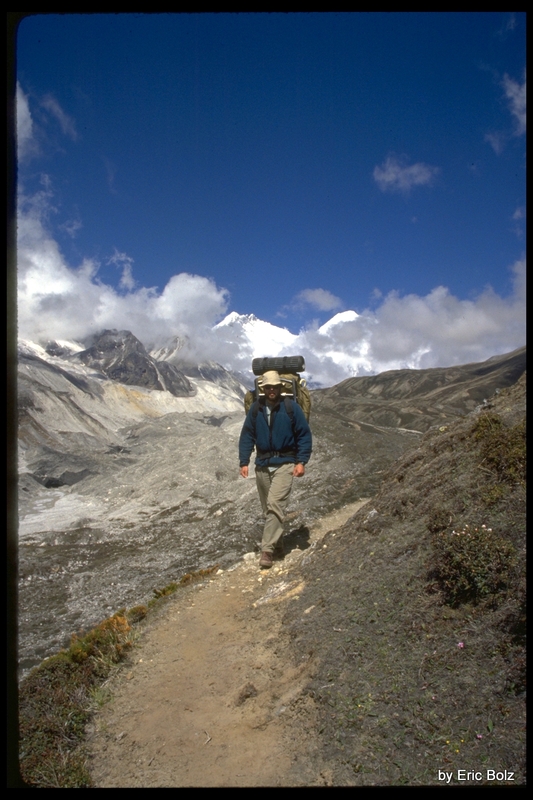 tibet2 -- Here I am walking back towards Pethang. In the back you can see Everest on the right and the South Col stretching over to Lhotse on the left. That is the Kangdoshung Glacier on the left.